Today is World Pneumonia Day – a day set aside by the global public health community, to enlighten the public and policy makers about the negative health impact of pneumonia. As the world marks this day, ARFH reflects on the efforts of the Government of Nigeria and its development partners to save the lives of thousands of Nigerian Children who die from pneumonia every year. Globally, pneumonia is the top infectious killer of children under five years of age, killing nearly one million children annually. In Nigeria, it is the second leading cause of under-five deaths (after malaria), claiming the lives of about 121,000 Nigerian children every year (UNICEF, 2014). Pneumonia is preventable and treatable and cannot be allowed to continue to kill our children. The global theme for this day “Universal Access for Pneumonia Prevention and Care” is apt and timely. ARFH is proud to be making significant contribution to the national efforts to take pneumonia treatment services to the communities through the Integrated Community Case Management (iCCM) of common childhood illnesses. With the support of the European Union and UNICEF, ARFH is currently engaging communities in Adamawa and Kebbi States as part of the roll-out activities of the iCCM Project. By June 2015, we would have built the capacity of at least 4,000 Volunteer Health Workers in hard-to-reach communities and 460 ward-based supervisors on proper diagnosis and treatment of pneumonia, malaria and diarrhoea in both states. This intervention will no doubt save several thousands of lives of children in Adamawa and Kebbi States. 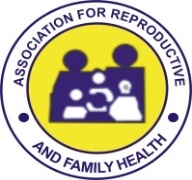 ARFH is excited about the planned introduction of the Pneumococcal Conjugate Vaccine (PCV) into the routine immunization system in twelve states by December 2014. It is our belief that this will be scaled up to all states of the country in the nearest future. We hereby call on government at all levels to demonstrate strong political will to saving the Nigerian children from pneumonia and other common childhood killer diseases. As an organization, we shall continue to work with government and other partners to achieve universal access to prevention and treatment of pneumonia in all parts of Nigeria.